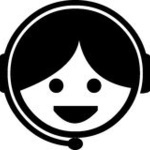 I have been working in telemarketing for over 15 years. My clients include market research, artists, website design, SEO, recruitment, finance, asbestos, training, furniture, stationery...Read moreI have been working in telemarketing for over 15 years. My clients include market research, artists, website design, SEO, recruitment, finance, asbestos, training, furniture, stationery to name just a few. My work can be anything from data cleansing through to appointment setting. I work with B2B only. I consider to have an excellent telephone manner and can talk to all levels of management, whether you are talking to a one man band company or speaking to the FD or CEO of a large corporate company. I am also very computer literate and can learn new systems quickly. I have worked on a number of CRM packages, as well as excel. I keep my clients updated on a daily basis. Simply brilliant- will be using again for sure! I need someone to arrange appointments to introduce a business. Pamela was great at communicating with me. I look forward to working her again. Pamela did a great job on a difficult assignment! I need someone to email and cold-call a list of 75 companies. Excellent work undertaken by Pamela and highly recommend her. Thank you David, it was great to you work with you. Pamela did a great job of my research project, obtaining hard to find business information by phone. Would definitely recommend. Pamela worked very hard on a telephone survey for us at a difficult time of year just before Christmas. Pamela provided thorough information for us that fulfilled the brief exactly. She was very polite and helpful.